Is the Autoimmune Paleo Diet Legit? I am an avid supporter of the paleo approach; and I’ve seen amazing success with it, not only in myself but also my patients. Nutritional research is continuously proving the benefits of high protein, healthy fat diets with plentiful fruits and vegetables. What do you think of the paleo diet? What food plans have you tried to optimize health? Most people think of the paleo diet as the meat lover’s way to lose weight. But some people with autoimmune conditions, such as rheumatoid arthritis and lupus, are turning to a refined paleo version to improve life-disrupting symptoms such as pain and fatigue. While medical experts not affiliated with the plan offer mixed feedback, patients willing to make the effort say the autoimmune paleo diet improves their quality of life. Many people who follow the autoimmune protocol, which encompasses lifestyle as well as dietary changes, learned of it through the work of Sarah Ballantyne, who has an extensive background in medical research and whose most recent book is “The Paleo Approach: Reverse Autoimmune Disease and Heal Your Body.” She makes the connection between autoimmune disease and diet on The Paleo Mom website. The standard paleo diet starts with a strict elimination phase. That means “no grains, no legumes, no dairy, no refined sugars, no modern vegetable oils, no processed food chemicals.” According to the plan, gluten should be “banned for life,” and at least initially, dairy of any kind should be avoided. For people with autoimmune disease, there’s more. They “should completely avoid” foods including eggs (especially whites), nuts, seeds (including cocoa, coffee and seed-based spices), nightshades, alcohol and artificial sweeteners. Because people with autoimmune conditions are at risk for vitamin, mineral and omega-3 fatty acid deficiencies, there’s an added diet emphasis on nutrient-dense foods. 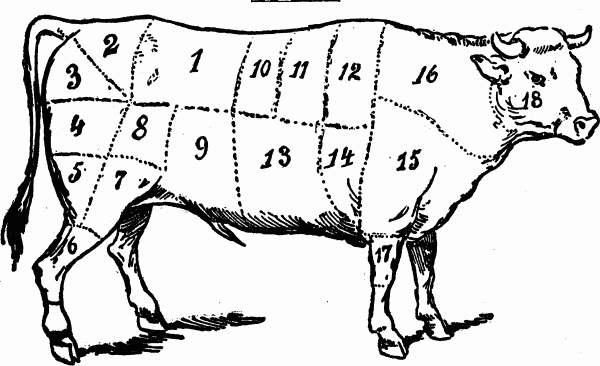 Meat – with a focus on incorporating more organ meat and offal – is a paleo mainstay. The plan also encourages shellfish; a large variety of vegetables; some fruit; fats including fatty fish and coconut oil; probiotic foods; and glycine-rich foods like bone broth. Hillary Jenkins, 29, a personal assistant in El Cerrito, California, often starts the day with breakfast sausage patties, which she makes by mixing ground meat with ground kidney and heart. “I go to a local butcher that gets 100 percent grass-fed cows and sheep,” she says. Not long ago, she would have bypassed the butcher. But at 27, she developed psoriasis, an autoimmune skin condition. Until then she’d always had clear skin, but the condition, which started with a small patch of red spots, quickly spread across her body. A dermatologist prescribed lotions, and eventually, a short course of oral steroids. But as soon as Jenkins stopped taking them, the spots reappeared. Jenkins wanted other options. Last June, she learned about the autoimmune paleo diet and read up on its potential benefits. “I just went full-on autoimmune protocol right away,” she says. When Kristin Kirkpatrick, manager of wellness nutrition services at the Cleveland Clinic Wellness Institute, sees patients with autoimmune conditions, she starts them on a standard (non-paleo) elimination diet. “When you look at foods that have the most likeliness of having some sort of inflammatory reaction, you’re looking at things like wheat, soy, dairy, eggs, processed food [and] sugar,” she says. Nightshade vegetables, which include potatoes, tomatoes, eggplant, and sweet and hot peppers, are taboo on the paleo autoimmune plan. Kirkpatrick says these, and some spices like paprika, contain alkaloids, which aggravate inflammation. Cutting nightshades may help “calm” inflammation for susceptible patients. Cutting legumes and starches can help patients by reducing excessive blood sugar fluctuations. “Bad bacteria in your gut thrives and eats off of sugar,” Kirkpatrick says. Overgrowth of bacteria, especially yeast, can stimulate inflammation in susceptible people. Ideally, she says, “When you digest something, everything should be digested 100 percent. You should be able to absorb nutrients, but this may not happen when the permeability in your gut allows leakage,” she explains. So instead of absorbing all the protein, vitamins and minerals, “you can actually have some of those things leak into the bloodstream and out of the gut, leading to inflammation and malabsorption.” Of course, it’s not that simple. “It’s a whole, complex definition of things that could be going on in the digestive system,” she says, and it may be based on autoimmune factors, genetic components and diet. Angeles Rios, 36, a Pilates, yoga and meditation coach in San Francisco, has ankylosing spondylitis, a type of arthritis centered on the spine. She started on the Paleo autoimmune protocol last spring. Early on, “making time for daily cooking and grocery shopping was the hardest part,” she says. Cooking in batches helps, and preparing dishes from scratch offsets the costs of eating organic foods and grass-fed meats. And she shares. “Cooking with friends, especially if they know how to cook without something from a box, keeps the process social and interesting to me,” says Rios, who coordinates a variety of events featuring paleo-friendly food, from potlucks to support groups. Jenkins agrees that supportive friends are important, as is being willing to cook for yourself. “I don’t trust restaurants,” she says. She’s wary of cross-contamination and of servers who don’t always know which ingredients dishes contain, like prohibited seed-based spices. Jessica Flanigan is a clinical nutritionist who specializes in the autoimmune paleo diet. Her identical twin sister has Hashimoto’s disease, in which the body’s immune system attacks the thyroid gland, along with celiac disease. Flanigan and her sister both follow the diet. As clients go through diet phases, Flanigan monitors their symptoms, and working with their doctors, she tracks results of medical tests to detect inflammation. Of clients’ doctors, she says, about “25 percent are open and agreeable” to the diet, while the rest are resistant. The most important thing, Kirkpatrick says, whether people are trying the paleo method or some other type of elimination diet to calm their inflammation, is to work with their physician or dietitian. Don’t forget to contact Dr. Katherine Walker or your local naturopath for assistance in exploring your options of achieve optimal health and energy.